Ivan IV Vasilyevich (1530 – 1584) commonly known as Ivan the Terrible, Tsar of All the Russias from 1547 until his death in 1584, was a controversial historical figure: Tyrant and a reformer, a monster and a strategist. He was given to sexual excess and was marrying often. Officially, Tsar Ivan IV had 7 wives. Unfortunately, not one of them lived long enough to enjoy golden years. By coincidence or by design, most of them met their Maker when still young, sometimes very shortly after the wedding bells and coronation. In this respect, Ivan the Terrible of Russia was no better (or worse) than England’s poly-amorous Henry VIII (1491 — 1547), born 40 years earlier, who was married 6 times. Wife No 1 — Anastasia Zakharyina. When it came time to marry, a young Tsar Ivan IV, 17 at the time, conducted a search and a rigorous selection among potential brides. His choice fell on Anastasia Zakharyina. According to the chronicles, she was Ivan’s only true love. Anastasia died in 1560. This was by far the longest marriage of Ivan’s life, lasted more than a decade. Some historians claim that Tsarina Anastasia was poisoned by the Tsar’s enemies envious of the Anastasia’s influence on him. The same year he lost his first wife, however aggrieved, Tsar Ivan sent ambassadors to look for a new wife. And soon enough, they found one. She was the daughter of the Kabardin Prince Temryuk, Maria. It was said that her beauty was mysterious, dangerous and mesmerizing. In addition to her many attractions, the new Tsarina shared at least one of Ivan’s interests — she loved to witness executions, the more gory and elaborate affair they were the more they delighted exotic Tsarina. She often whispered into her husband’s ear the names of those she didn’t like. Those unfortunate people would eventually become next victims of Ivan’s terrible temper and Maria’s love of blood and gore. Maria died of a rather mundane cause — succumbed to pneumonia. Another wife gone, and the Tsar was open for marriage again. This time, 2,000 beauties participated in the pageant. 24 remained after the first round of selection, then the pool was thinned down to 12. The contenders were subjected to a number of scrupulous checkups and humiliating scrutiny by courtiers and doctors. Marpha Sobakina met every criteria. However, almost immediately after the wedding, she became unwell and died two weeks later. Rumors abound, however, no one could say for sure whatever befell otherwise healthy and vivacious young woman. Be that as it may, Tsar Ivan married again. So many church weddings in such a short time was against the church rules. The priests agreed to conduct a ceremony very reluctantly, on pain of death. The 18-year-old Anna Koltovskaya was the darling of the people, but wasn’t held in high esteem by the boyars (ranking courtiers.) A few slanderous accusations too many against the young Tsarina and Ivan couldn’t stand it any more. Eventually, he sent Anna to a convent, christening her Daria in nunnery. She lived the rest of her life in an underground monastic cell. This was the last of his weddings, authorized by the Church. Later, former Anna, Tsarina of Russia, was canonized as Saint Daria. Soon thereafter, the Tsar remarried. A pretty young girl he choose was the daughter of Prince Peter Vasilchikov, Anna, age 16. This time, the church stood firm and did not recognize the marriage that lasted — alas! — all but 3 months. Young and healthy before the nuptials, Anna suddenly died. Her death was eerily similar to the demise of Marpha Sobakina, wife No 3, not that this curious fact went unnoticed. 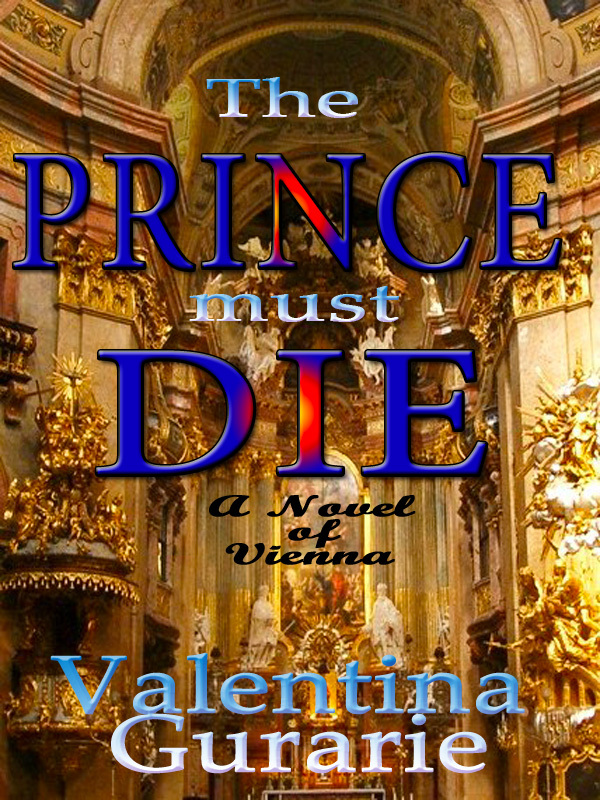 Anna’s body was taken out of the palace secretly, in the dead of the night. Vasilisa Melentyeva was happily married when Tsar Ivan cast his roving eye upon her. Immediately after the Tsar took liking of Vasilisa, her husband died for “no apparent reason.” What luck! Historical records indicate that with the appearance of Vasilisa in Ivan’s life he became somewhat less “terrible.” He stopped his sexual escapades and orgies, send away from his chambers all his “spare” women and settled into a happy married life. It lasted for two years. Then, one fine afternoon, Tsar Ivan caught his wife with a lover. The terrible ways swiftly returned to Tsar Ivan. His punishment, indeed, was swift and terrible. Both Vasilisa and her lover were buried alive. Tsar Ivan’s last wife was Maria Nagaya. She was a melancholy woman given to dark moods and bouts of sadness. His new wife’s frequent tears and moodiness unnerved the Tsar a great deal. Ivan was ready to devise ways to get rid of Maria and already started looking for a new Tsarina, but died suddenly, while playing chess, of stroke. The year was 1584. Ivan IV was 54. 7 wives by the age of 54, that is impressive. But then Ivan didn’t have to worry about divorce settlements. Good post.